I don’t normally post on weekends, but my son passed out early after his birthday party so I figured I’d share it with you! 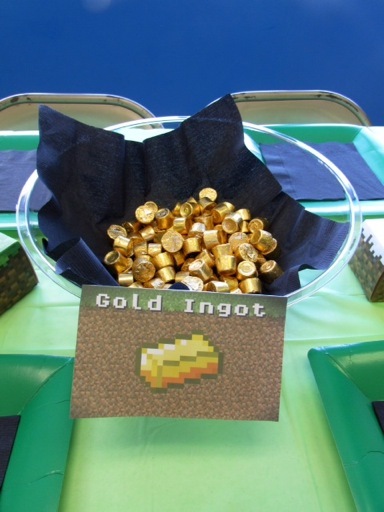 After Hayden said he wanted a Minecraft theme and I did some online searches, I realized stores don’t just sell Minecraft party supplies. 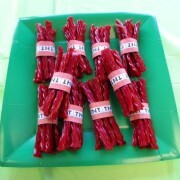 Luckily, other creative moms have blogged about this party theme before so I was able to borrow some ideas. I bought an invitation on Etsy from SaphireInvitations. They customized it and emailed me a digital file. 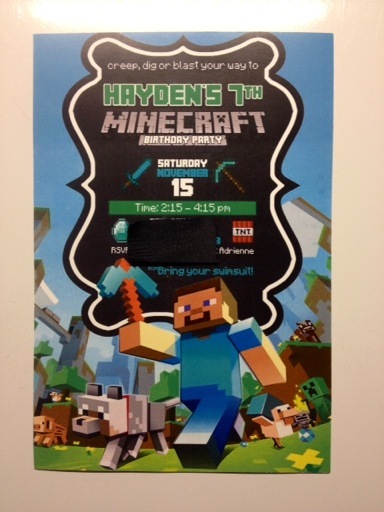 Hayden’s grandmother then printed them. 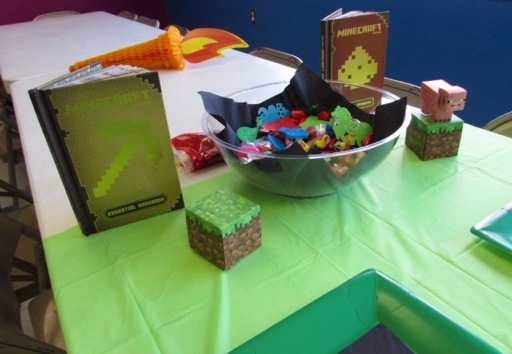 Hayden has liked Minecraft for awhile so he has acquired toys and books they we were able to use as table decor. 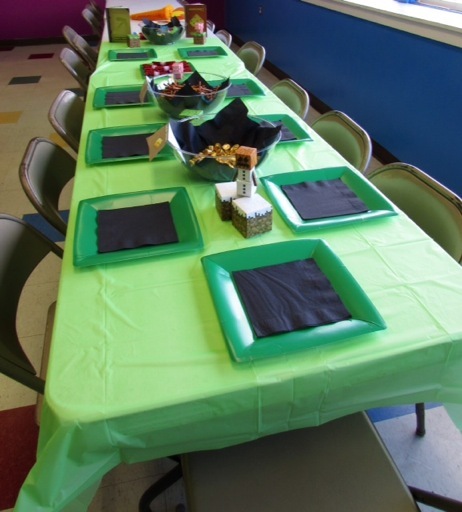 I bought green table clothes from the Dollar Store. 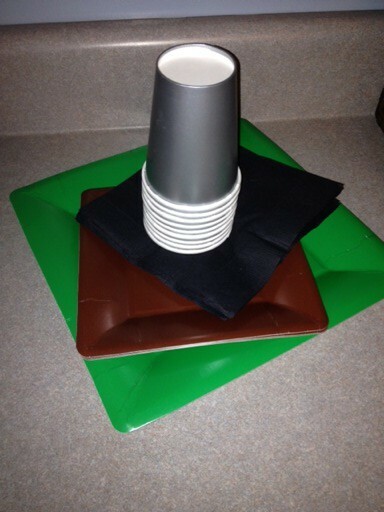 I also ordered festive green square paper plates for pizza, chocolate brown square dessert plates for cake, black square napkins, and silver paper cups for soda from Party City. 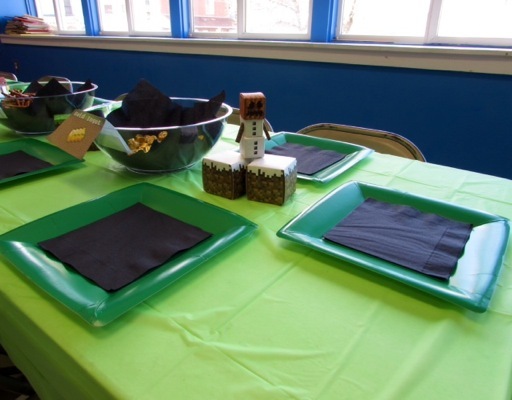 Hayden’s party was at a YMCA for 2 hours, so we didn’t go too crazy with the decorating. 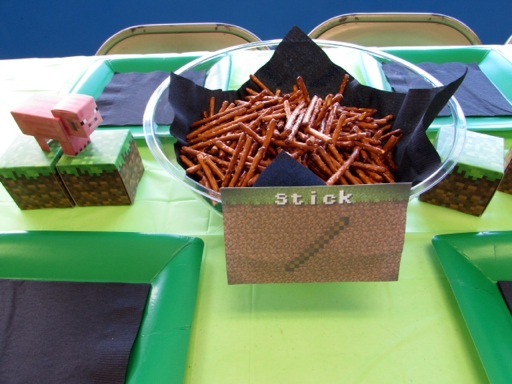 If you have a party at your home there are tons of possibilities. Just start Googling for inspiration. 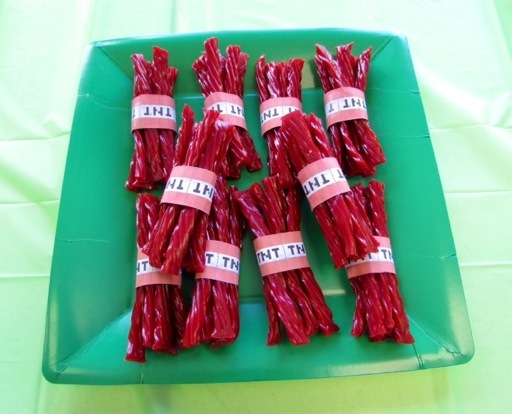 For snacks we did Pretzel sticks for “Sticks,” Rolos for “Gold,” and Twizzlers for “TNT.” I used these printables for the TNT. 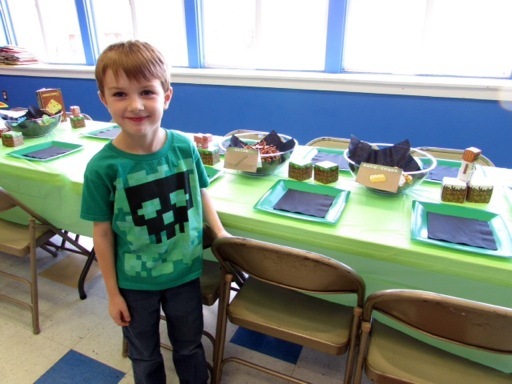 Everyone had a great time, most importantly, the birthday boy had fun! An hour of indoor swimming on a cold November day and an hour of eating/partying left him worn out.